Telling the story of the Tatas, both the Indian business empire that now looms so large in Britain and the remarkable family which built it, has taken me back to my own childhood roots. 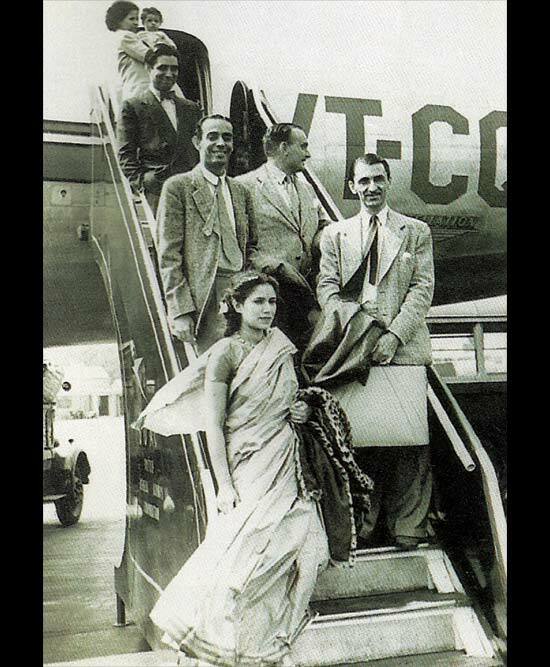 I entered the Tata story in July 1948 as an eight-month-old infant on Air India’s first flight to London. I was accompanying my parents and the legendary Tata chairman, JRD or Jeh, who was the foun­der-chairman of this new airline and a passionate aviator himself. As I grew older, some of my earliest memories are of sitting on Uncle Jeh’s knee, while he cheerfully mended my broken cuckoo clock in his private repair shed in his back garden. Those were the days when Bombay, as it then was, still had gracious mansions and bungalows with lush, tropical gardens, full of flowers, birds and, yes, even king cobras. My father worked for the Tata Group for a decade as chief of staff to JRD Tata and head of public relations. My parents and the Tatas were also close personal friends. 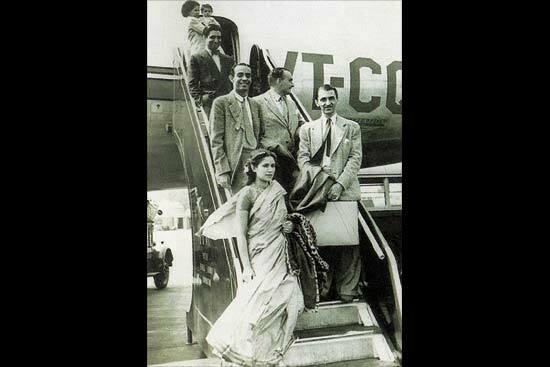 Mother, a keen golfer like JRD, regularly made up a foursome with him at the nea­rby, ex-colonial Willingdon Club, its 18-hole golf course an oasis of beautifully landscaped greenery in the heart of Bombay. We lived on a hilltop round the corner from the Tatas, and I spent much of my weekends with them, playing with their beloved dog Pinocchio and watched over by their majestic Pathan butler, Ahmad Shah. We saw less of each other as the years went by. My father left Tata in 1958 to launch a major new political party, Swatantra, with a radical free market agenda strongly opposed to the prevailing socialism of the Nehru government. JRD sympathised with the new party and insisted on making company donations to it, in defiance of Prime Minister Nehru’s angry objections. My parents and the Tatas remained close friends; Father and Uncle Jeh had a regular weekly lunch date till the latter died in 1993. One reason for my own closeness to Uncle Jeh and his half-English wife Thelly (Thelma) was that they were childless, and I became a much-loved, adopted nephew. The Tatas by then had a reputation for being one of the most infertile families in a community already renowned for its tiny and dwindling numbers. Like me, they came from India’s smallest minority, the Parsis, 10th century migrants from Persia and followers of the world’s oldest monotheistic religion, Zoroastrianism. The Parsis fled Islamic persecution after the Arab conquest of Persia and were welcomed in India. 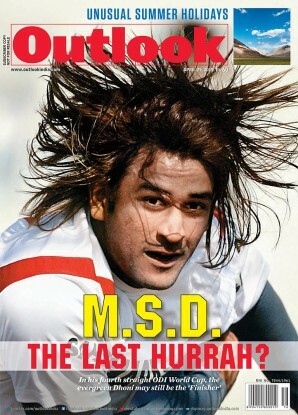 They were among the first Indians to westernise under the Raj and soon became leaders in business and the professions. Numbering only about 1,00,000 at its peak, today the community has shrunk to around 40,000. In a community already noted for its cosmopolitan history and outlook, the Tatas were the most cosmopolitan of all, even when it came to shocking the orthodox Parsi priesthood. The founder of the Tata industrial empire, Jamsetji, born in 1839, was an observant Zoroastrian, but he nevertheless welcomed and attended the controversial marriage of his cousin and business partner R.D. Tata to a Frenchwoman. Jamsetji had travelled extensively across three continents, from China and Japan in the east to Detroit in the west, and brought this global experience to both his business and family life. When my father formed the Swatantra Party in 1958, JRD would insist on making company donations to it. One result of Tata cosmopolitanism was a passionate commitment to modernisation and technological innovation. Jamsetji, like his cousin and successor JRD half-a-century later, was fascinated by new inventions and finding out how they worked. He was a frequent visitor at industrial exhibitions in Paris and Dusseldorf and foresaw that the world’s economic future lay not with the British Empire, but with the rapidly growing economies of Japan, Germany and the USA. He spent his final years travelling around Germany to buy the latest lighting and plumbing for the grand Taj Mahal Hotel he was erecting on the Bombay waterfront. He also scoured the steel towns of America in search of the best engineers and technologies for the new steel plant he was building, Asia’s first, in the jungles of northern India. Jamsetji’s two sons, Dorab and Ratan, were educated in England, remained strongly anglophile and were both knighted for services to the Raj. Sir Ratan, the younger and less business-oriented, set up home in London at York House, a former royal stately home in Twickenham, where his wife and he gave an annual garden party lavish enough to rival those at Buckingham Palace. Sir Ratan was a great patron of the arts, with a fine collection, later donated to the Indian nation, ranging from the finest Chinese and Japanese jades and porcelain to French and Italian baroque paintings. He was also a patron of good causes, ranging from Mahatma Gandhi’s campaigns against racism in South Africa to the founding of a new sociology department at the London School of Economics. While running the family business from Bombay, the elder brother, Sir Dorab, was also a frequent visitor to London, with his glamorous wife, Lady Meherbai, a tennis champion who insisted on playing in a sari. She was painted by British society artists wearing what was then the world’s biggest diamond, the Jubilee, acquired by the Tatas from the Portuguese royal family. Frequent guests of George V and Queen Mary, the Tatas were among the first families of India’s new business class to be accepted into imperial high society. Compared with other Indian business magnates, the Tatas have always been remarkably unostentatious, choosing to spend far more on philanthropy than on themselves. When both Sir Ratan and Sir Dorab died childless, they left their fortunes, including the famous Jubilee diamond, to charitable trusts, which consequently still own 66 per cent of the central Tata holding company, Tata Sons. In the absence of any direct descendants from Jamsetji, the Tata crown passed to the collateral branch of R.D. Tata, Jamsetji’s cousin. In 1938, after an apprenticeship under Sir Dorab, JRD or Jeh, RD’s elder son, took over as group chairman, a position he would hold for more than half-a-century. 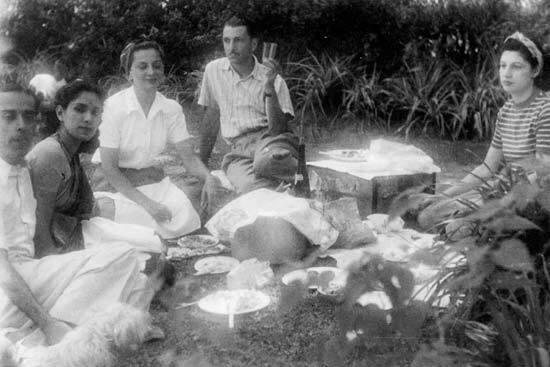 JRD was by far the most cosmopolitan of the Tatas, born and brought up mainly in France by his French mother. Although she converted to Zoroastrianism, Suzanne Tata was rejected by the Parsi community elders, who barred her access to the monumental stone Parsi fire-temples of Bombay. After losing an acrimonious court battle, which split Parsi society down the middle, Suzanne Tata retreated with her children into dignified exile in France. JRD served in the French army, spoke French as his mother-tongue and remained more French than Indian till the end of his life. His mother’s rej­e­ction by the orthodox Parsis of Bombay left him with a lifelong aversion to religious bigotry and communal chauvinism. Despite half-a-century of import and investment controls by the Nehru government, JRD managed to maintain a global outlook and presence for the Tata Group, in partnership with Western firms like Daimler Benz with whom Tata produced India’s first lorries. When the Indian economy started liberalising in the ’90s, JRD, still childless, handed over the reins to his distant cousin Ratan, who had trained as an architect in the US and shared the Tata taste for all things western. It was Ratan who led Tata on the foreign shopping spree that has made them Britain’s biggest industrial employer. Today the Tata leadership is best described as a triumvirate. Two years ago, Ratan, also childless, handed over as group chairman to a non-Tata, Cyrus Mistry. The Mistrys began far lower down the social scale as builders, but have succeeded over the years in acquiring the largest private shareholding in Tata Sons. Cyrus, also a Parsi, has a sister married to Ratan’s half-brother, Noel. Noel, half-French like JRD, heads Tata’s growing retail wing. And Ratan, now chairman emeritus, still wields enormous power as head of the charitable trusts which own two-thirds of Tata Sons. Tata remains a creative mix of aristocratic cosmopolitanism, traditional Parsi Zor­oastrian values and dynamic new entrepreneurial skills.